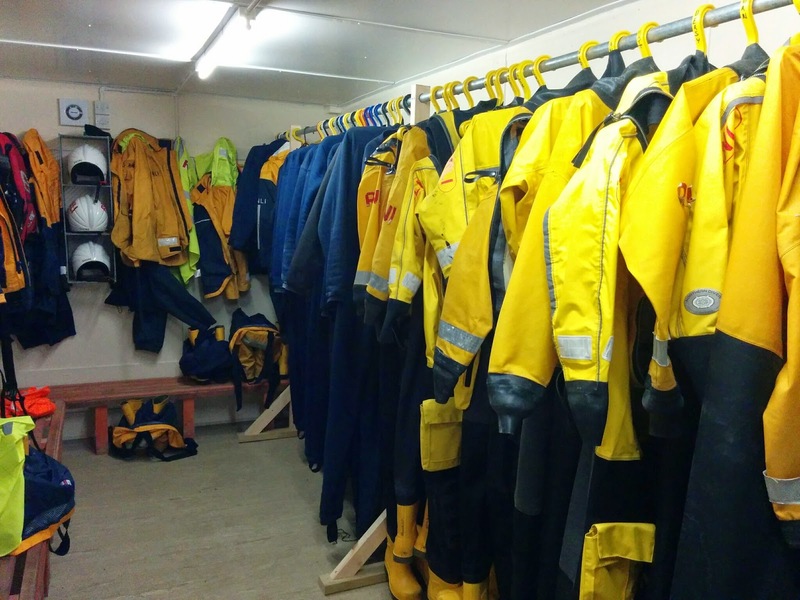 When we moved out of the old boathouse we needed somewhere to keep our inshore lifeboat, boarding boat, their launch vehicles and all our PPE. 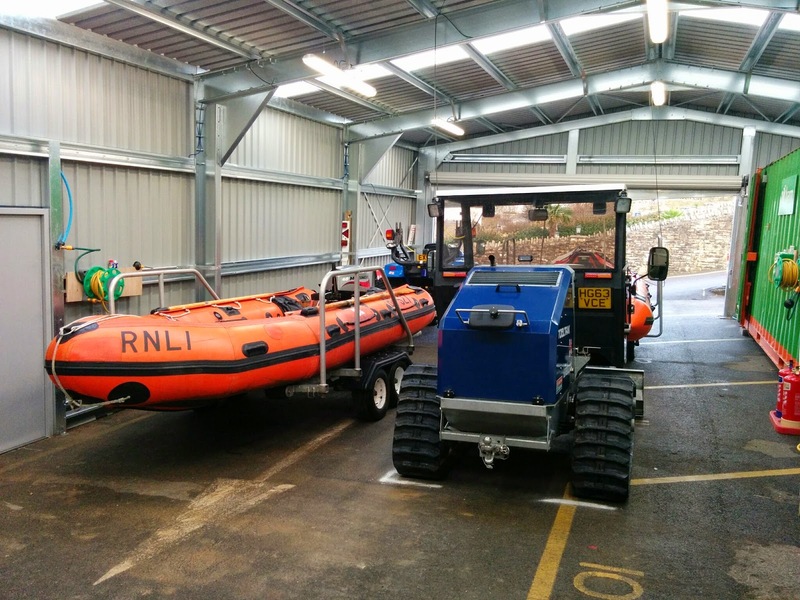 For the duration of the build we'll be operating from our temporary lifeboat station in the boatpark. 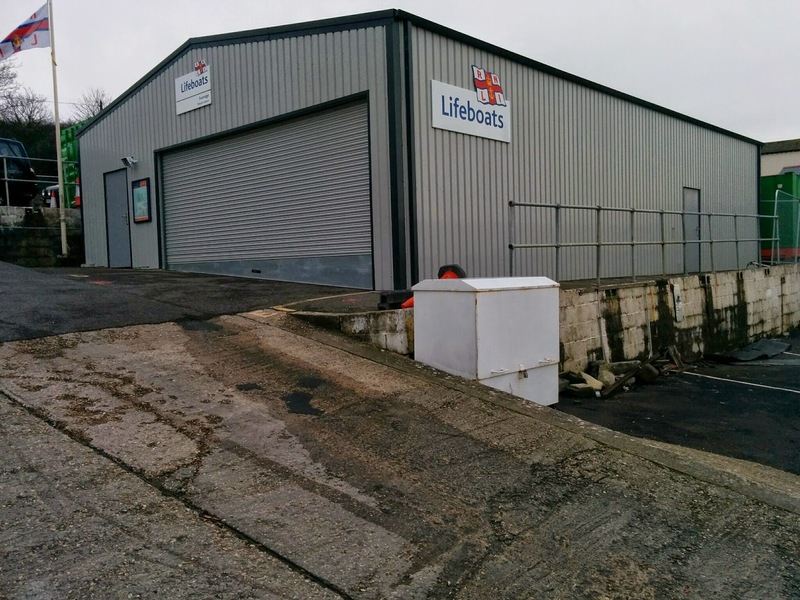 Inside you'll find both boats and their launch vehicles ready to go behind the roller shutter door. 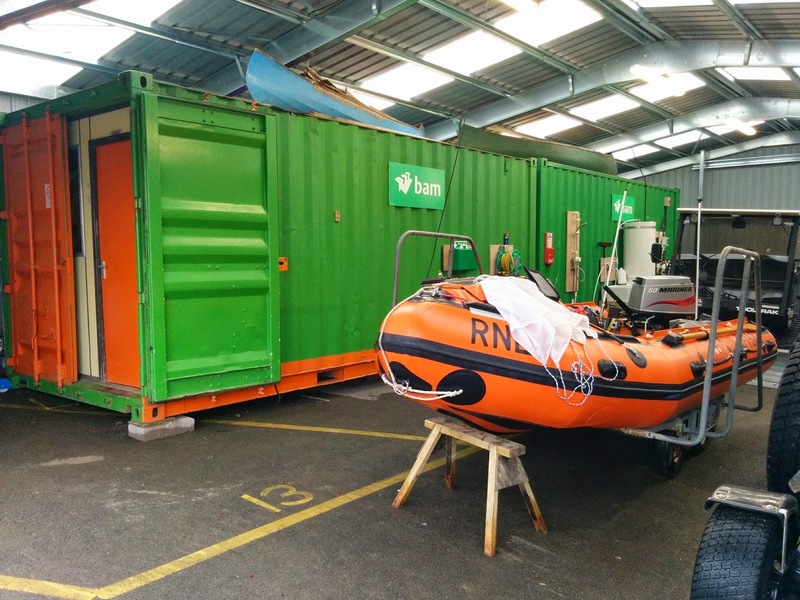 Inside the building there are two green 20' containers that are fitted out as drying rooms. One for the ALB kit. 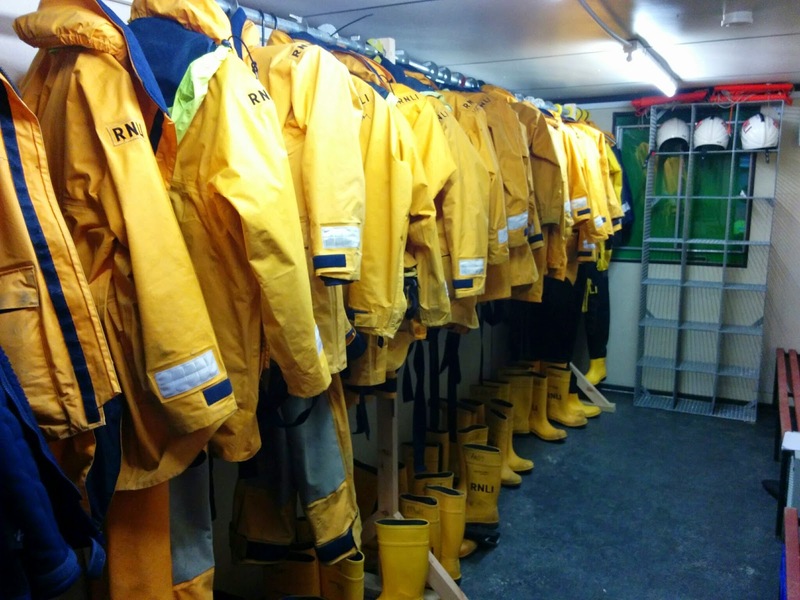 And one for the ILB and Shore helper's kit. 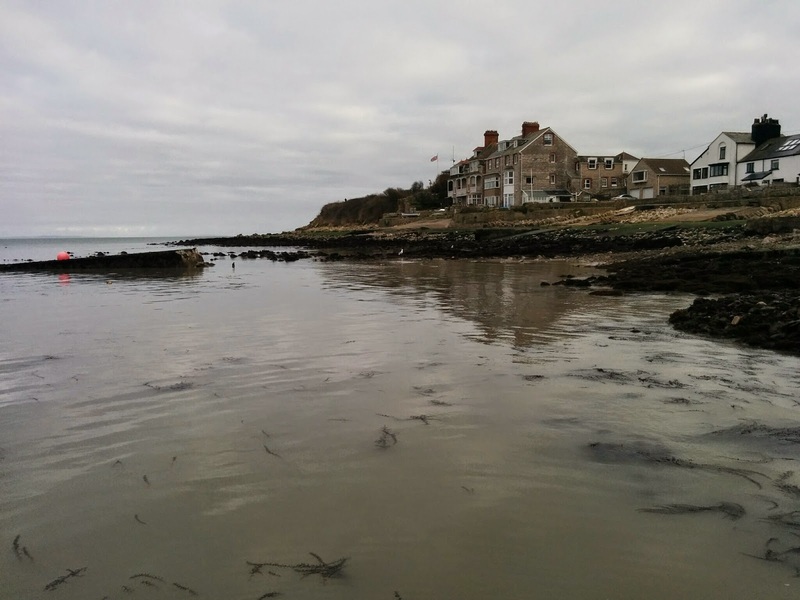 Both are heated and fitted with dehumidifiers to make sure the kit is kept dry and in good condition. Outside in the boatpark we also have a workshop container and a store. 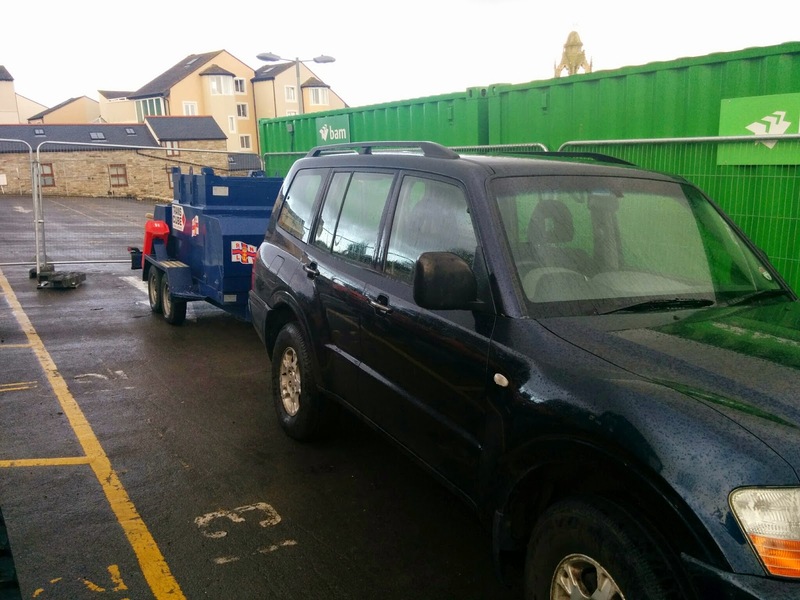 There's also a portable fuel bowser and a shogun to tow it with. 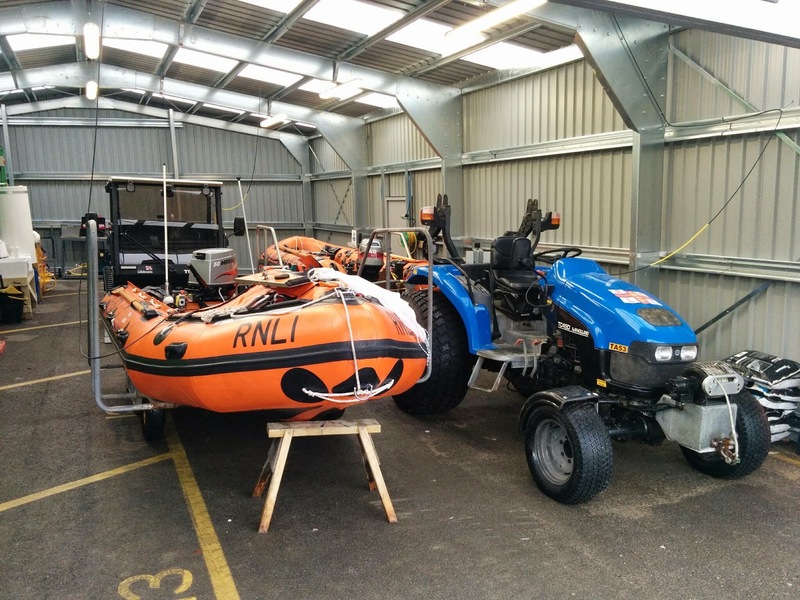 It takes a lot of equipment to keep a lifeboat station operating! 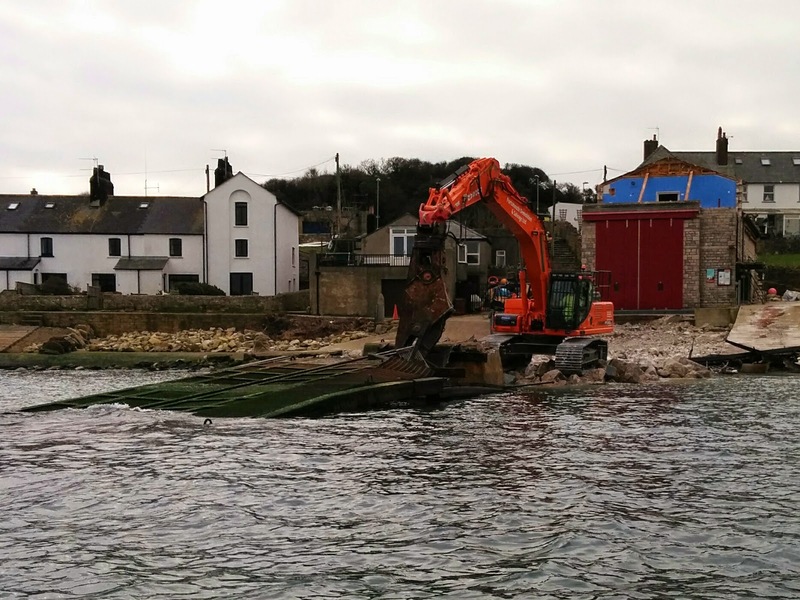 The big spring tides this week meant that the demolition team were able to remove the last bits of the slipway. 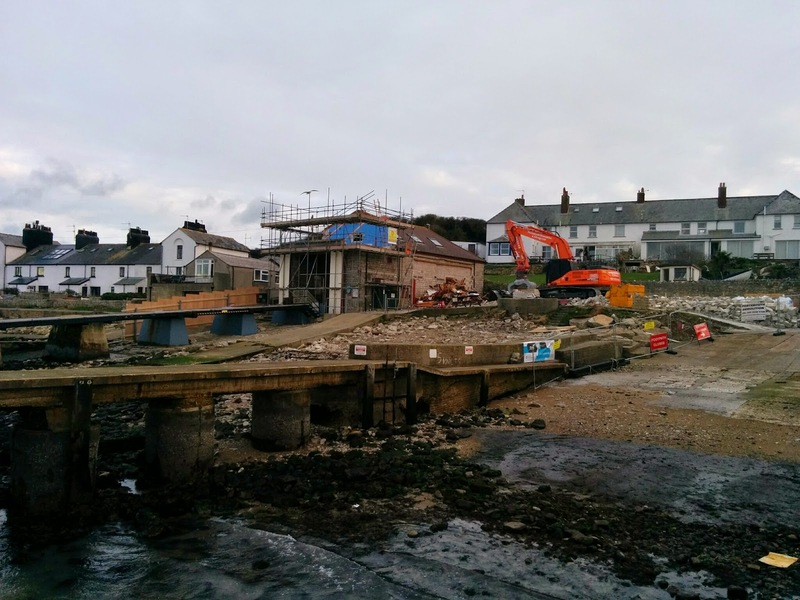 All that's left now is what's called the 'toe' of the slipway. 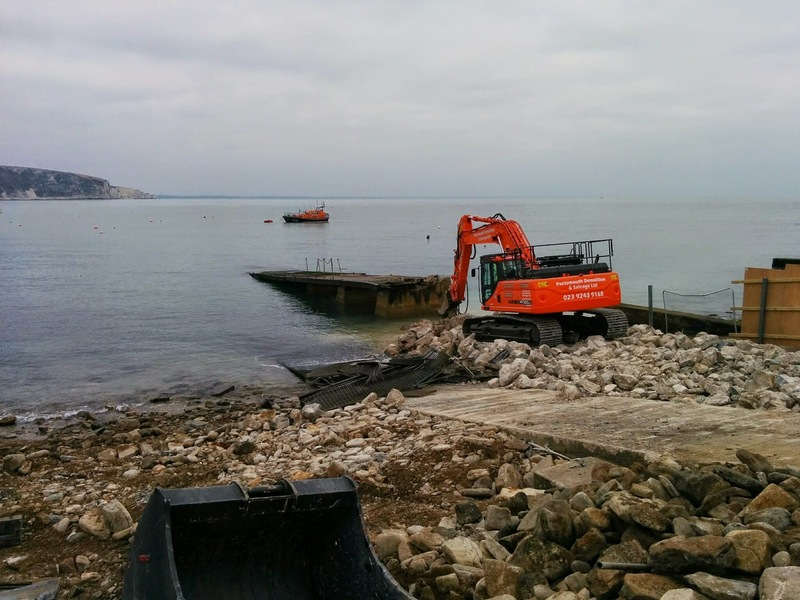 The 'toe' is a 15m long wedge of concrete that takes the slipway down to the seabed. 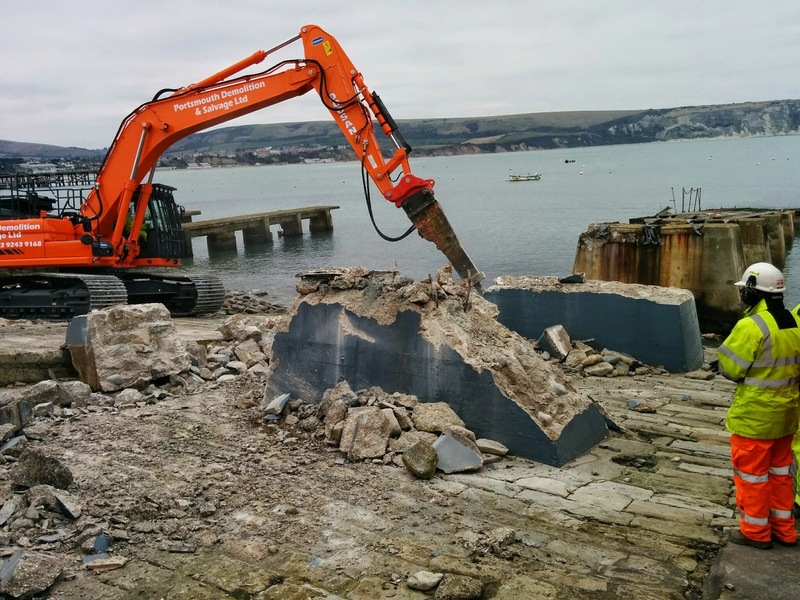 It's hoped that with a bit of work this can be reused as the concrete it's made of was new in 1992 unlike the concrete in the rest of the slipway which goes back to the 1920s. 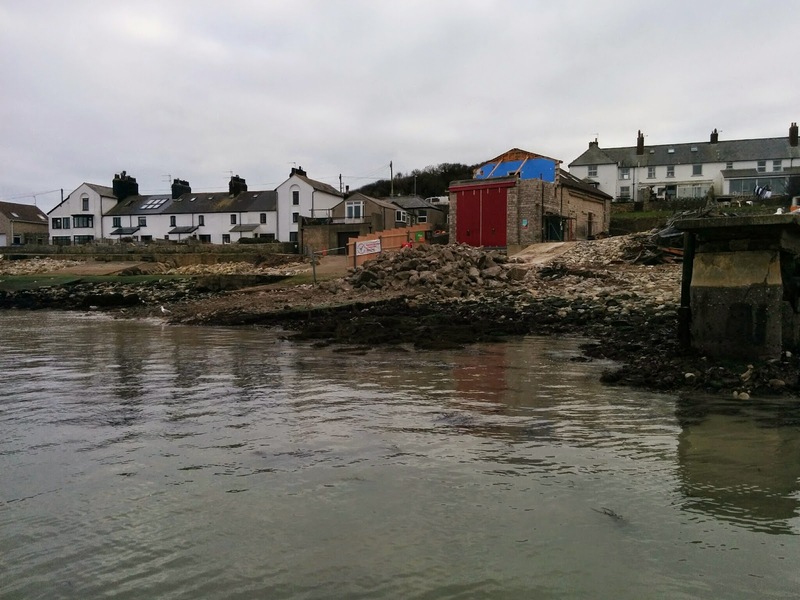 When the old concrete was broken up it was found to contain a lot of beach stone and no reinforcing, it certainly wasn't up to the job of supporting the new slipway. 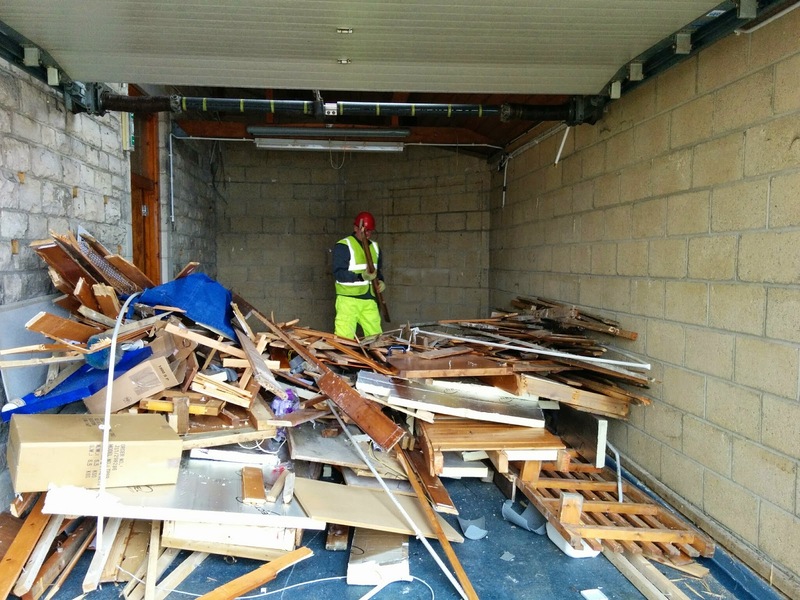 The steel has been loaded into a lorry and taken away for recycling. 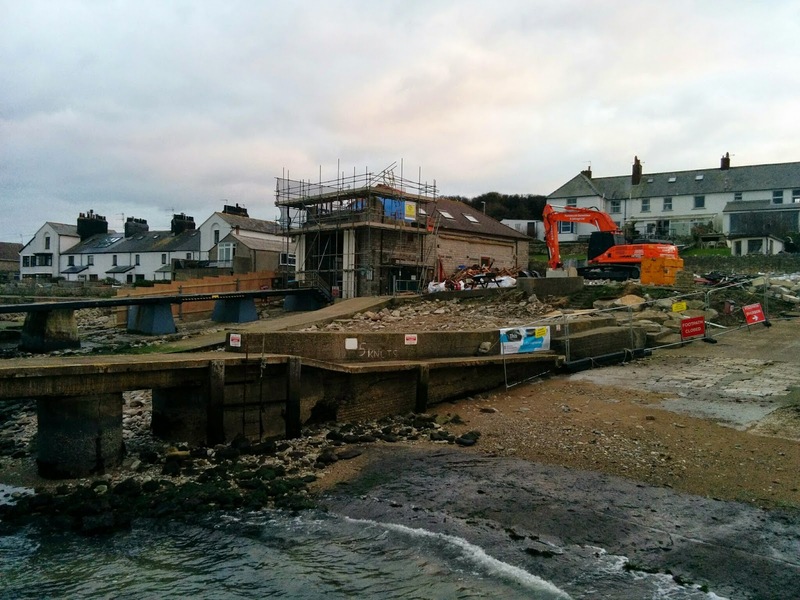 The concrete will remain on site for now to be used as a path to move the big machinery around. 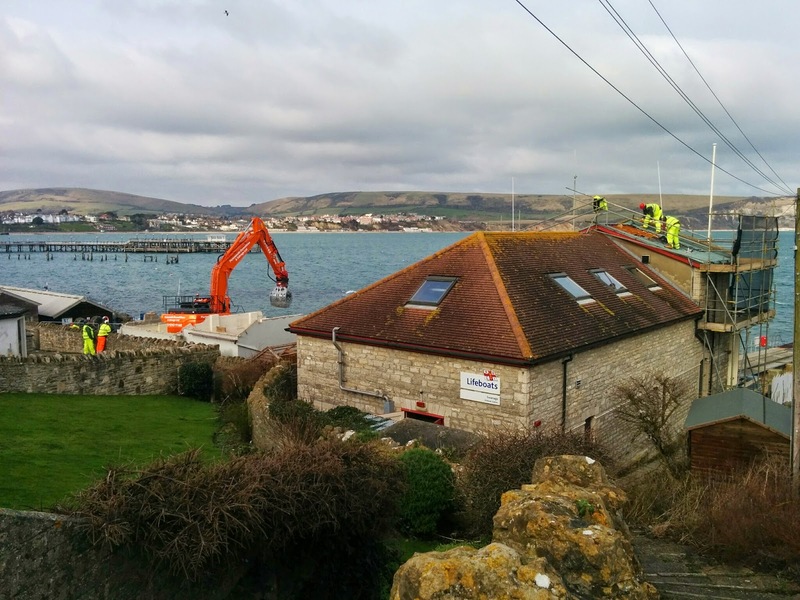 Work will continue with demolishing the lifeboat station next week when specialist contractors have removed some asbestos sheeting that was found in a ceiling void. 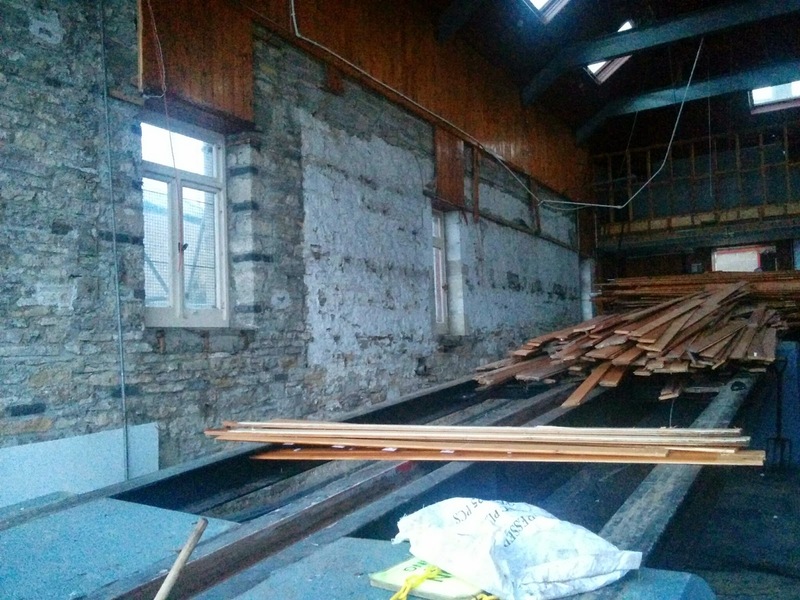 The asbestos is contained and doesn't pose a threat but it will need to be removed correctly. 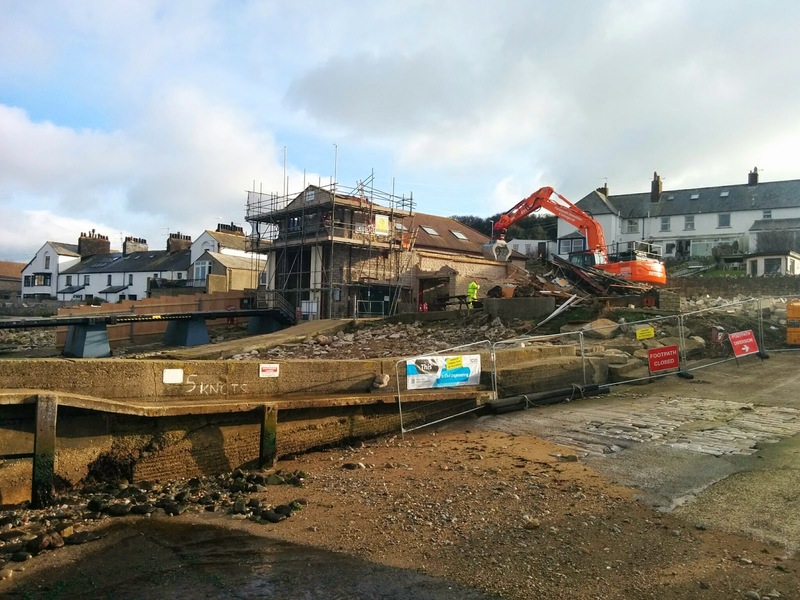 The slipway demolition started this week and in just two days there wasn't much left! 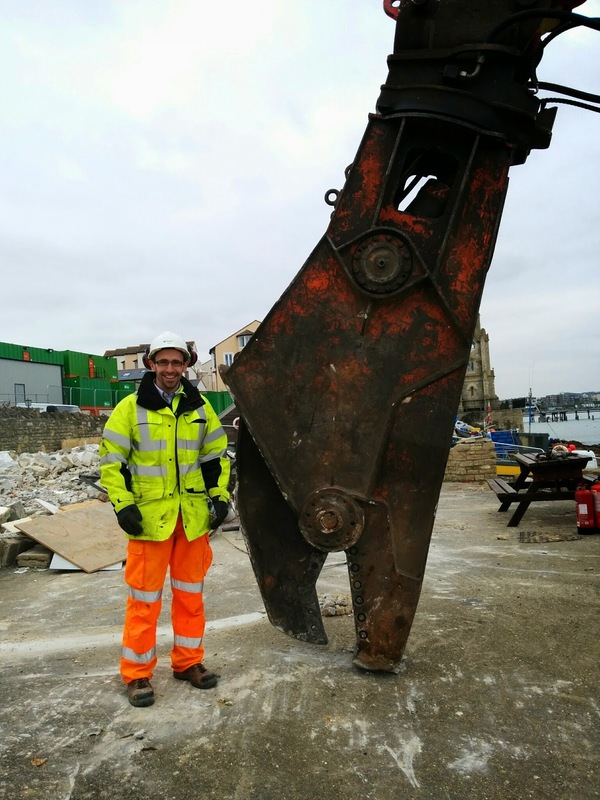 First the metalwork was cut away using the massive shears. Then the concrete buttresses were broken up. 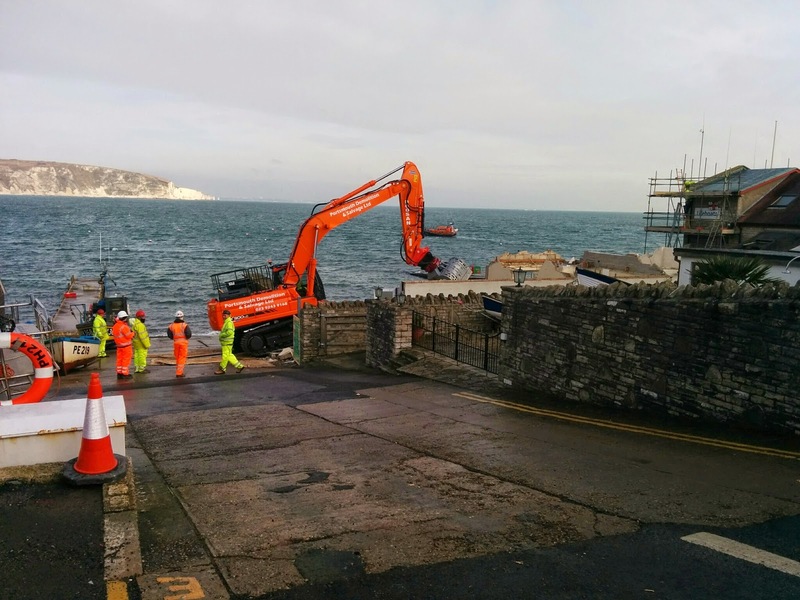 The broken concrete was then used to make a causeway for the digger to use to get to the next buttress without going in the sea. 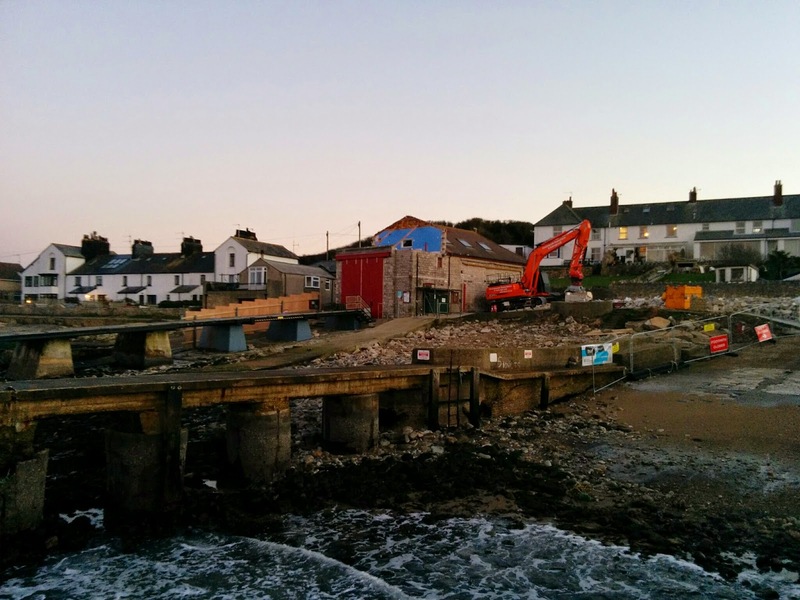 The process was repeated and by the end of day one there was a big gap where the slipway used to be! 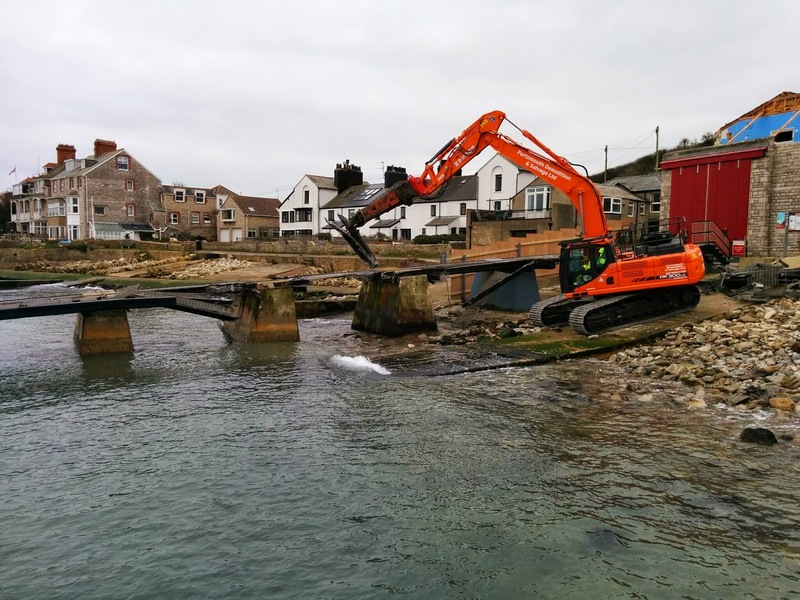 Unfortunately the next day the tide prevented too much more work being done but they were able to remove 2 more buttresses. 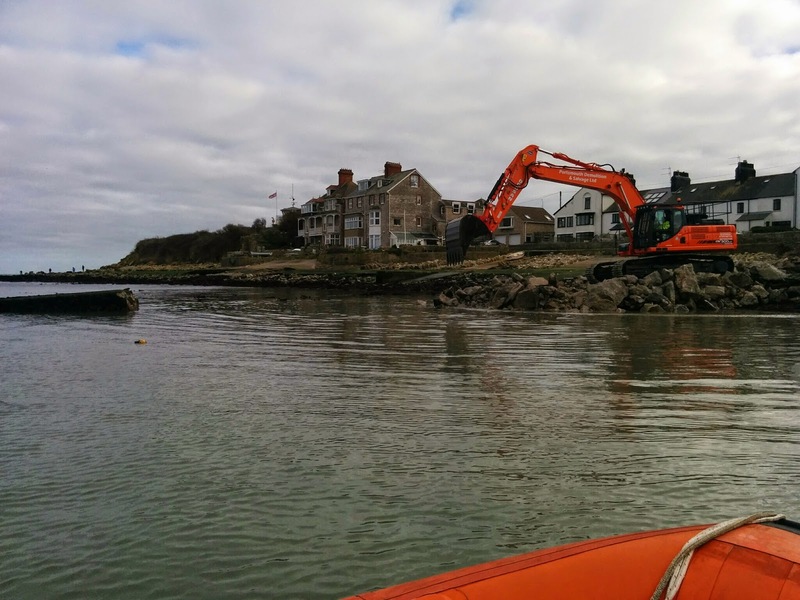 Next week we're back on spring tides so they should be able to finish the job off. Could you volunteer to help in our shop? 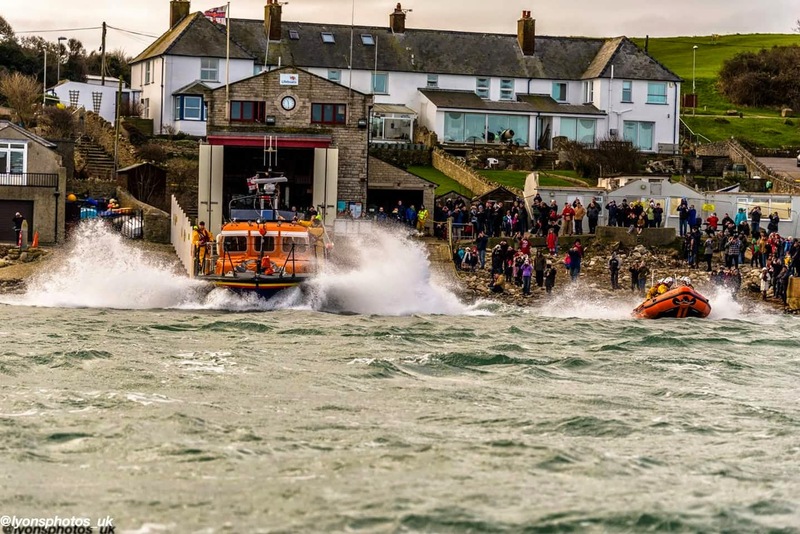 The RNLI Shop in The Square, Swanage has a wonderful team of volunteers, but we desperately need to increase our numbers so we can continue to raise vital funds for the RNLI and the volunteer crews. If you can spare any time at all please pop in and have a chat with us or call Amanda on the numbers below! 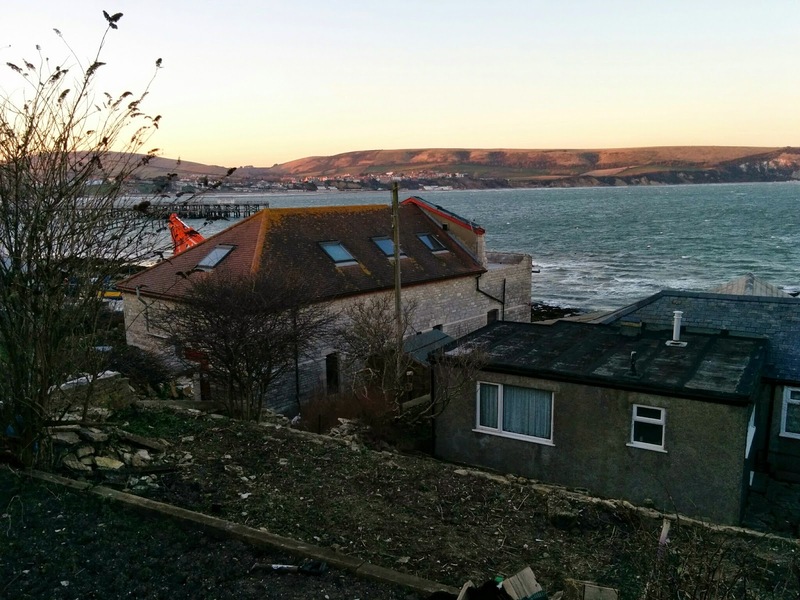 On Sunday 1st February 2015 we launched both our lifeboats for the final time from the old boathouse. 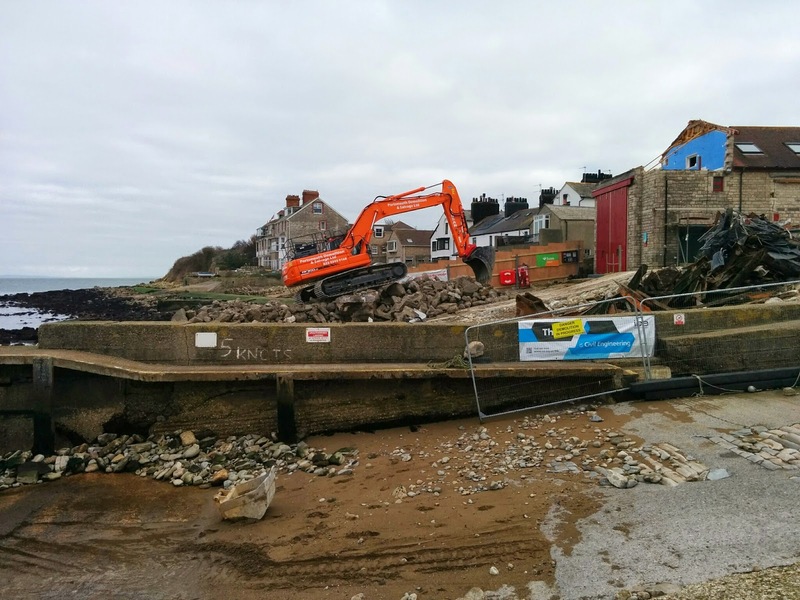 We then handed it over to BAM Nuttal the RNLI's contractors and the process of demolition and rebuild began. That's the first week done. 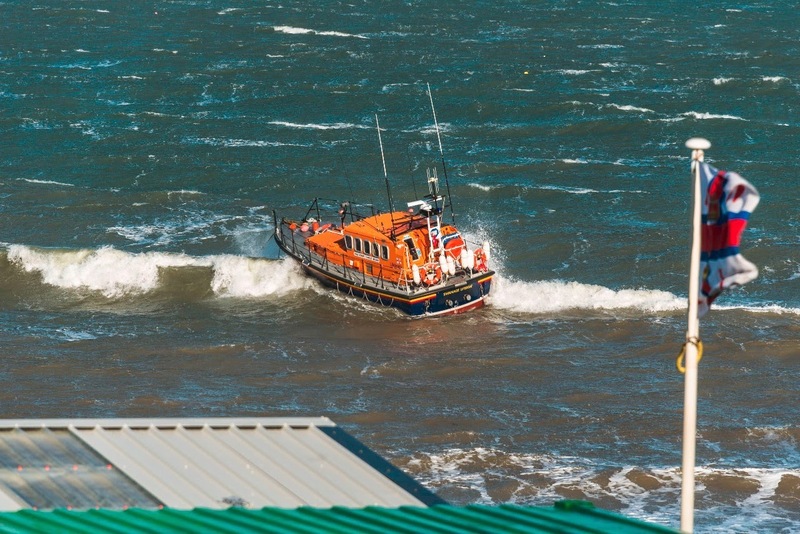 The all weather lifeboat has been rocking and rolling on the mooring in the NE wind. 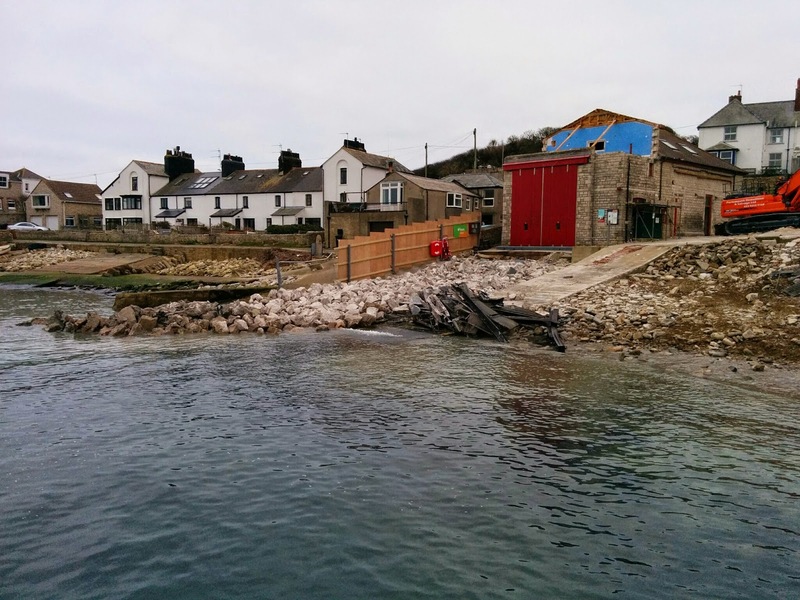 The Angling club has gone as has the ILB shed. 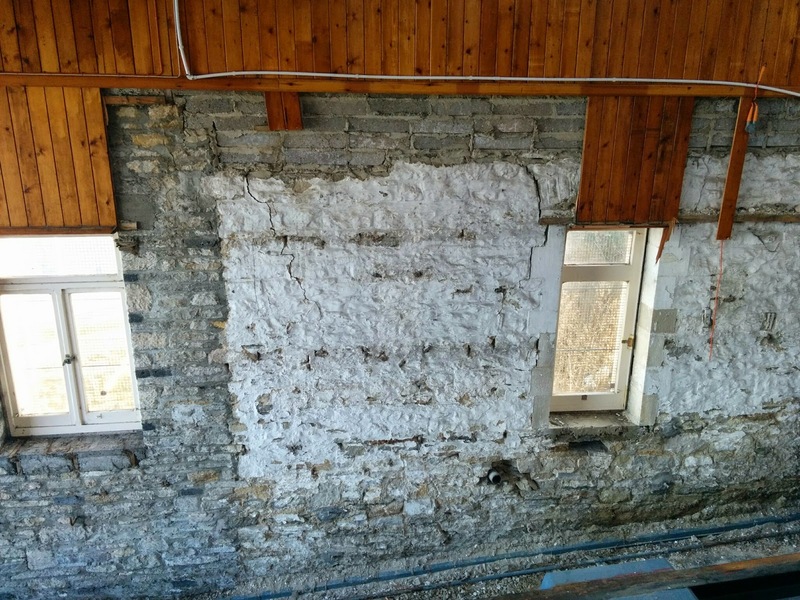 The crew room has gone and some rather large cracks were discovered in the Eastern wall. 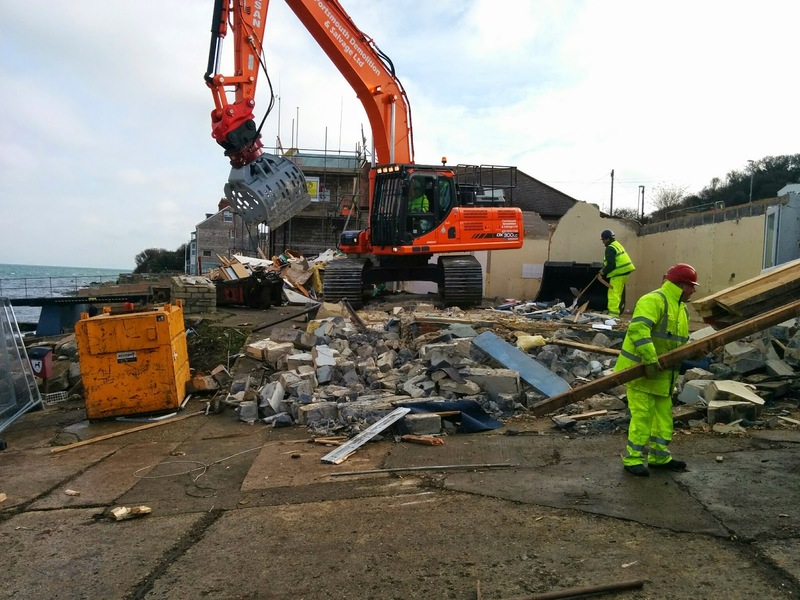 We've had our first exercise from our temporary facilities which went well. Only about another 59 weeks to go!